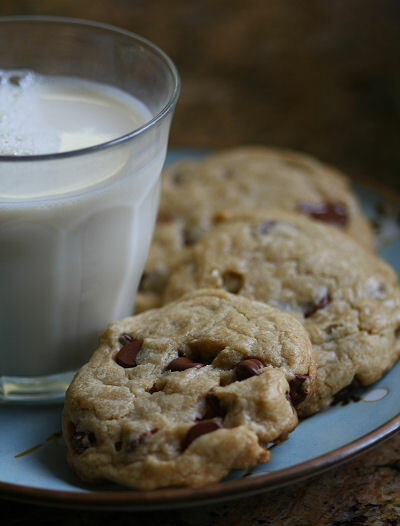 Vegan chocolate chip cookies from Vegan Cookies Invade Your Cookie Jar with soy milk. These were super easy to make (less than 20 minutes total). And they were very tasty to boot. Hmm. Do you have any favourite veg*n cook books you would recommend? Veganomicon is sort of the bible for vegan cooking. Vegan Planet has a lot of really good recipes that are generally pretty easy to make. Vegan with a Vengeance is good as well.